One airline is revolutionising family air travel, making room for kids in ways that seem long overdue. If you’ve ever flown with kids you’ll be acutely aware of the anxiety this can bring. Even the days leading up to the flight are fraught with worry, and once parents stride across the tarmac with their kiddos, things can go downhill fast. 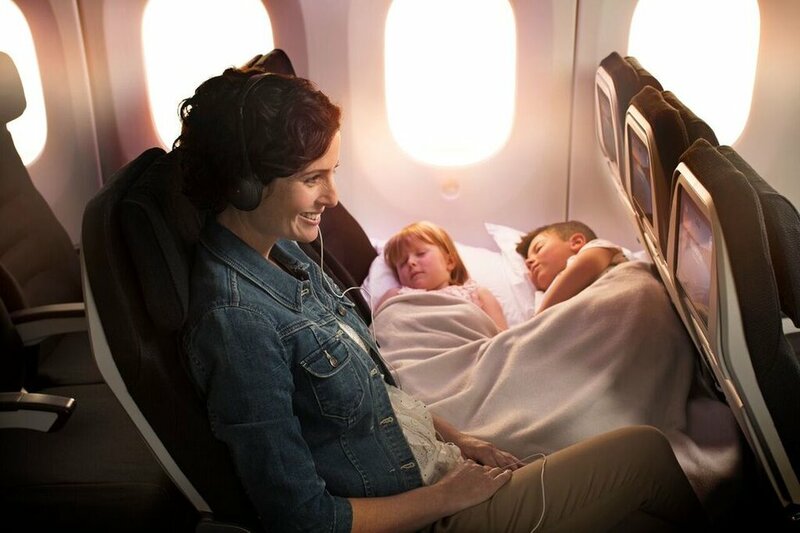 Air New Zealand are no longer content to let parents of small children struggle to keep them comfortable and entertained on board. In fact they’re making economy-flying families feel more welcome than ever with some brand new kid-friendly features. The improved Skycouch and Skycouch pod allow parents and kids of varying ages to sleep in a number of different configurations when the plane is in cruise phase. An updated restraint – called a Cuddle Belt – now allows two children to sleep side-by-side, or alternatively a parent and child can sleep next to each other. The Skycouch opens up to create a more comfortable travel experience for kids (and those seated around them). “Parents can relax while their children are able to have their own space and flat area to play without interrupting other passengers,” Air New Zealand’s general manager of customer experience Anita Hawthorne explains. The airline hope to roll out the new Skycouch updates from mid-2018 on its Boeing 777 and 787-9 Dreamliner fleets. While some parents of small children were quick to praise this comfy travel experience on social media, those with babies wondered why you’d buy several Skycouch economy seats when you could possibly travel first class – with a lap baby – instead. “It is awesome but is the price for these the same as flying solo in first class?” one queried. “Wait so u pay for 3 seats?” another twigged. Further research reveals that the Skycouch is paid for as a group booking, and it does indeed involve buying three economy seats. Of course, this is perfect for an adult travelling with two children – or two adults travelling with one child. They’d need three seats anyway. 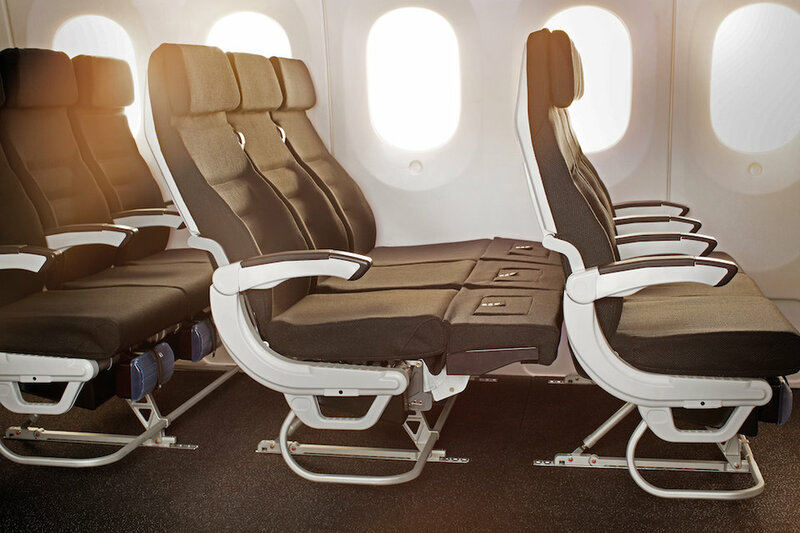 “Premium Economy comes with more baggage allowance, premium inflight food and beverage, access to premium check-in, as well as seats with greater recline and better Aipoints™ and Status Points earn. Skycouch™ is a part of our economy cabin and would be a good option if you can lie flat across three economy seats,” Air New Zealand explain. There’s no doubt that this brilliant feature will help many families have a much more comfortable flight. Travelling overseas with little ones? Soon you'll be able to access new enhancements to our award-winning Economy Skycouch. 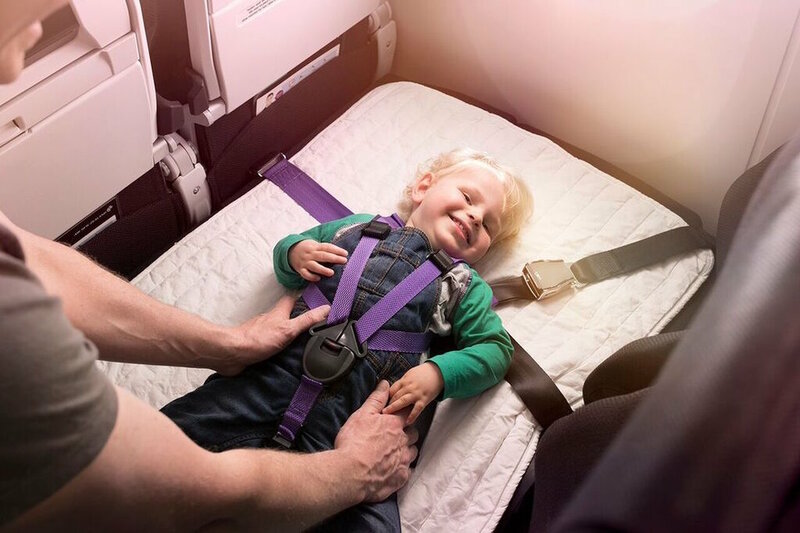 We're introducing a dedicated infant harness and belt, so infants can remain lying down throughout the cruise phase of a flight (instead of having to be seated on a guardian’s lap when the seatbelt sign is on). A new Skycouch infant pod also provides additional protection.